Thanks to Jimmy Bui Photography, I got some sweet new headshots taken in August! Another huge announcement is that I am co-producing the steampunk/gothic webseries PROGRESS! Learn more about the project by clicking on the Progress Tab! We will be filming the teaser for PROGRESS in October. If you are interested in learning more, drop me a line! Through Cavootle, I participated in two web videos, got new headshots and did a science video with Paikea. 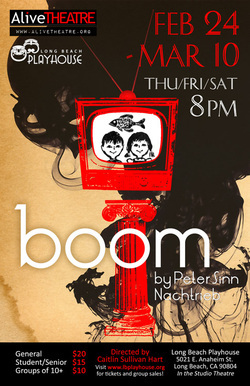 I'm also the Co-Stage Manager for Alive Theatre's presentation of BOOM!. Click here for more information and to buy tickets for BOOM! Through Paikea Productions, I was part of a Chevy Commercial. The commercial was part of a Competition and although we made it to the Semi-Finals, we didn't make it to the finals. However, the experience was amazing and Paikea got offered a grant to film another Chevy Commercial! To watch the commercial on YouTube click here. I am an official Actress/Mentor with Paikea Productions! Paikea is an after school program for junior high and high schoolers who are aspiring filmmakers and actors! I have finally found the perfect place where I can use my filmmaking and performing talents to help inspire and foster the artistic growth of kids. It is such a blessing! This past weekend (Thanksgiving weekend) we shot a commercial for the Chevrolet/Mofilm competition. 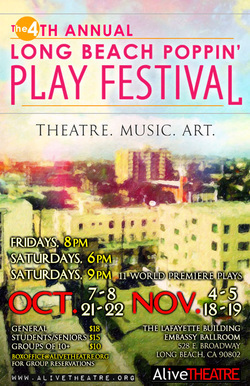 Working with Alive Theatre in Long Beach I was part of an amazing play festival. 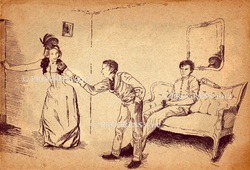 I was the stage manager for three shows on the friday night performances and an actress in Ryan McClary's "Good Riddance", which took place Saturday at 6pm. I had the amazing opportunity to work with over 70 brilliant artists!